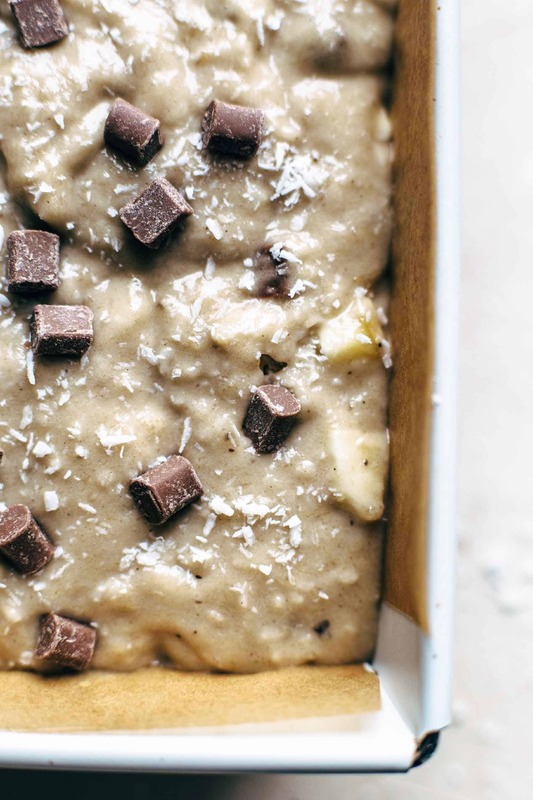 This is the best Chocolate Banana Coconut Bread recipe you will find, and it’s ready to bake in 10 minutes. 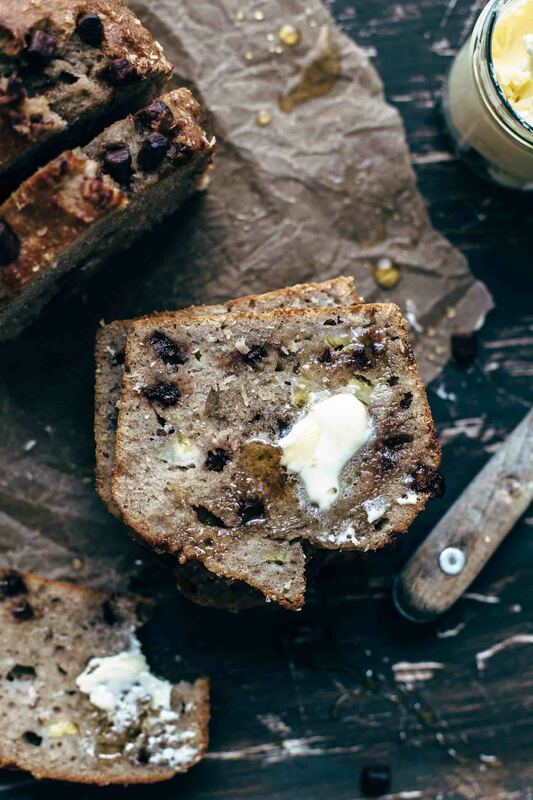 Chocolate chips, banana chunks, and coconut flakes combined in super soft and moist banana bread. There are just a few things what I’m really obsessed with. Banana bread is definitely one of those things. 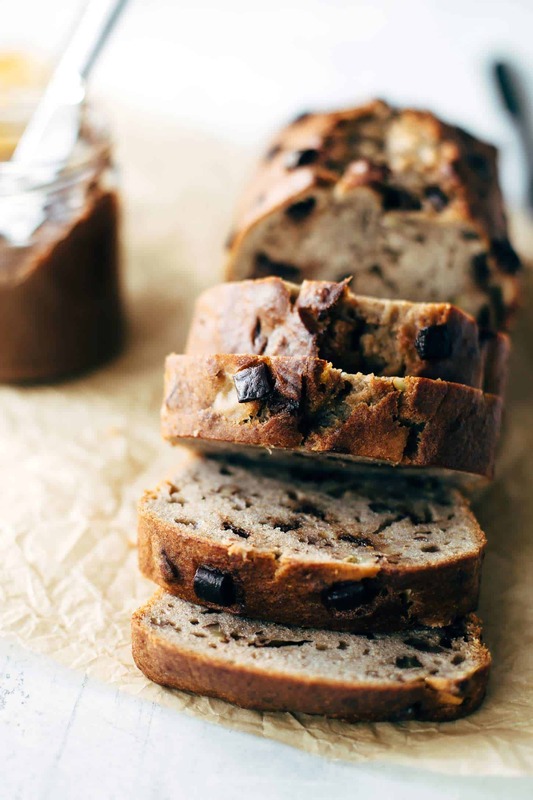 I can’t imagine a better breakfast or dessert, either way, than a warm slice of soft and moist banana bread with lots of chocolate chips, fresh and flavorful banana chunks, and coconut taste inside. A bit of butter and honey on top….mmhhh….heavenly. Sorry, I think my mind was lost for a second because I had a deliciously almost real daydream about banana bread. Let’s get back to the recipe. 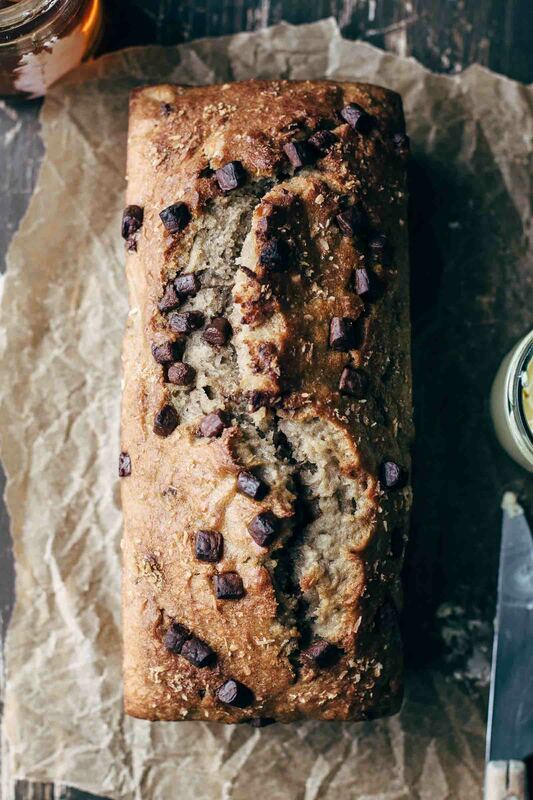 This Chocolate Banana Coconut Bread is super easy to make. You don’t even need a mixer. Take a whisk and stir until all ingredients come together in the required order. The banana taste is very intense because we have two times banana in the banana bread. Mashed bananas and freshly chopped banana chunks. Trust me on this one. 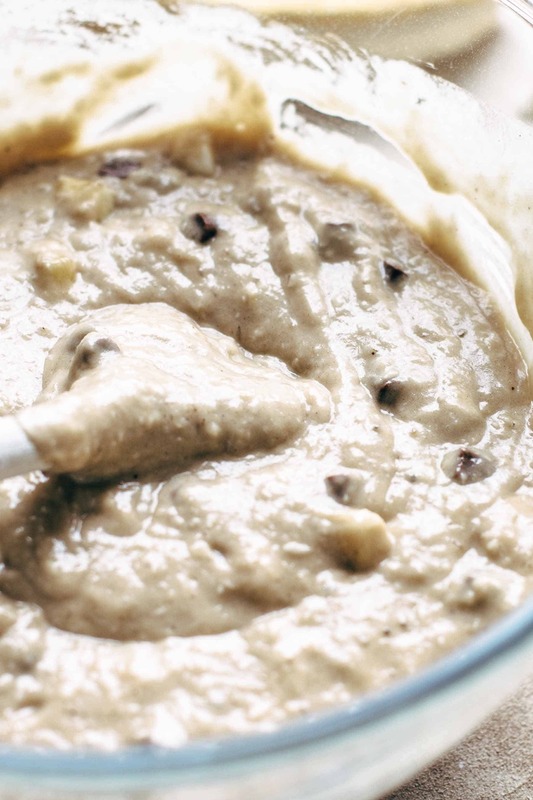 Banana chunks are essential in banana bread. It takes the banana bread to the next level. Last year, we were in San Francisco, and we had a great banana bundt cake with fresh banana chunks in it, and we immediately fell in love with the very first bite. Since this experience, I’ve never done banana anything without banana chunks in the batter. And I mean banana anything. Banana pancakes, waffles, bread, bundt cake, whatever. Banana chunks need to be in the game. To get a nice coconut flavor, I didn’t add just coconut flakes but coconut oil as well. 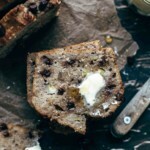 So I can confidentially say that this is the best Chocolate Banana Coconut Bread recipe. I had to make a second Chocolate Banana Coconut Bread on the same day because Mario is now addicted to it and the bread didn’t live longer than 3 hours! Sorry, honey. I know you always face a hard time with all my baking stuff. This will be a long gym session for you tomorrow. If you plan to have it for breakfast on a working day, I hope you are going to wear something very comfortable and stretchy. Just saying. 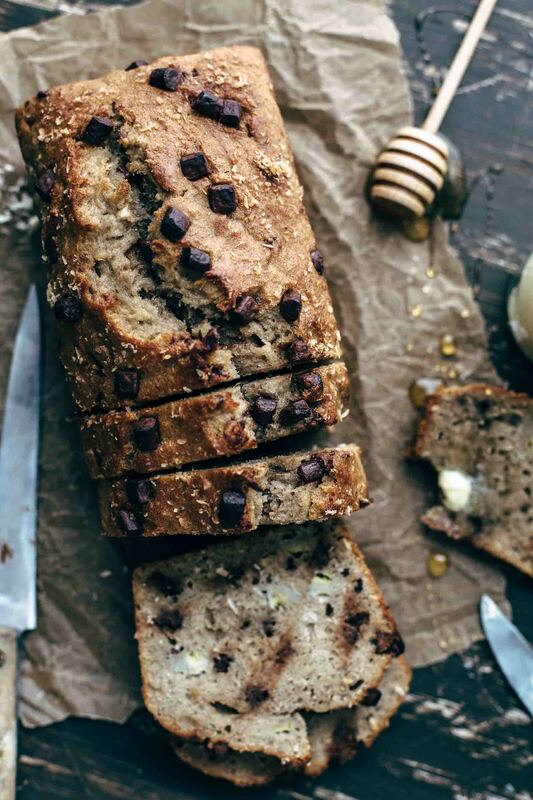 Make this Chocolate Banana Coconut Bread recipe, leave a comment, rate it and tag a photo #alsothecrumbsplease on Instagram! Would love to see your snap! You may also like Chocolate Banana Nut Bread, Super Moist Banana Bread, Banana Bundt Cake with Chocolate Chips, Easy Banana Cake with Nutella Frosting, or click here to see all recipes. This is the best Chocolate Banana Coconut Bread recipe you will find, and it's ready to bake in 10 minutes. 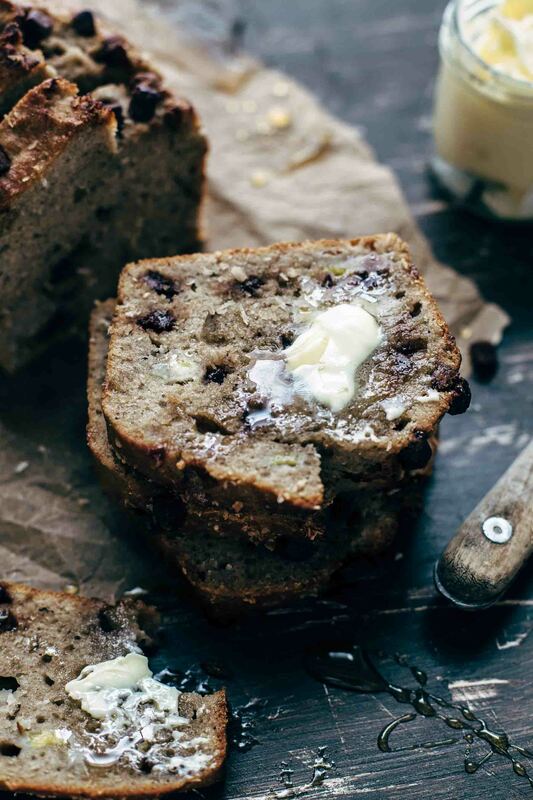 Chocolate chips, banana chunks, and coconut flakes combined in super soft and moist banana bread. Preheat oven to 350°F (175°C). Line a 9x5 inch loaf pan with parchment paper with an overhang on the sides to easily lift the bread out of the pan after baking. Set aside. In a large mixing bowl stir mashed bananas and sugar just until combined. Slowly mix in vegetable and coconut oil just until combined. Add eggs and vanilla* and stir just until incorporated. Add dry ingredients and stir to combine. Don't overmix at any step. Fold in chocolate chips, coconut flakes, and banana chunks just until combined. Transfer batter to the prepared loaf pan and bake for about 55-60 minutes or until a toothpick in the center comes out clean. Let cool for about 10 minutes then remove from pan and transfer to a cooling rack and let cool completely. Store in an airtight container at room temperature for up to 3 days. We just made this and absolutely LOVED it. 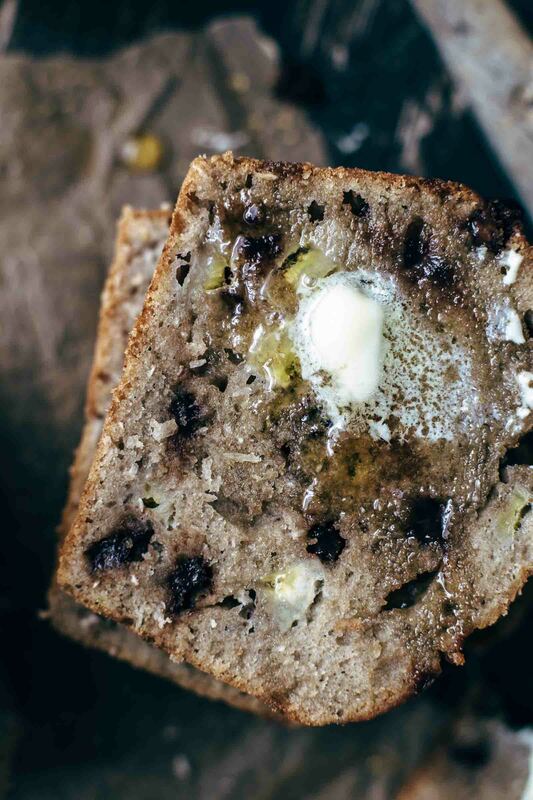 This will for sure be our new go to banana bread recipe! Can’t wait to make it for our friends and family too! Katy, this is just great! I love to hear that and I’m happy that you and your family enjoyed it. Happy baking and have a great weekend.